Before January was out, I managed to see Rio for a second time. For one day only - a day and a half, to be exact - but such a full day. The trip to Rio felt like the day trips we went on at primary school. I always looked forward to those; I would think about them all week long, and on the night before I would load my uncle’s camera with film, to be ready – even if waterfalls was all I was going to see. Like those trips back then, the trip to Rio filled me with anticipation and kept me up the night before. But the day of the trip finally arrived. Meeting at Congonhas airport in São Paulo around 08:00 and departure for Rio de Janeiro at 09:30. 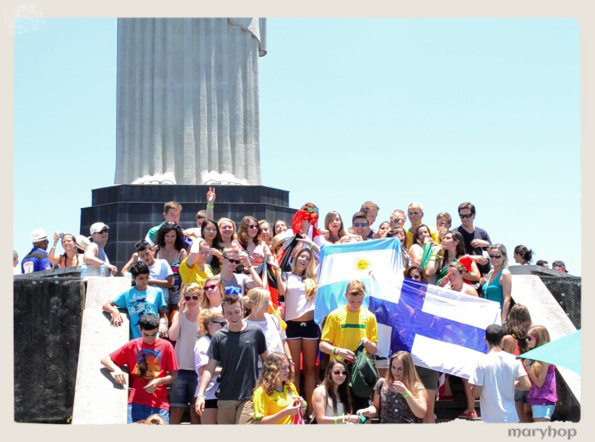 The whole excursion was done in haste and with me running around like crazy in order to see, to enjoy, to really taste Brazil. At 16:00, the grey mini-van would be turning into a pumpkin: The return was already scheduled. Needless to say that without a guide and a driver, I would never have made the trip. given the time limitations. With a grey van (with pitch black windows), two locals, one GPS master and one English master, we set off roaming the streets of Rio. Our English master, in particular, was indispensable! 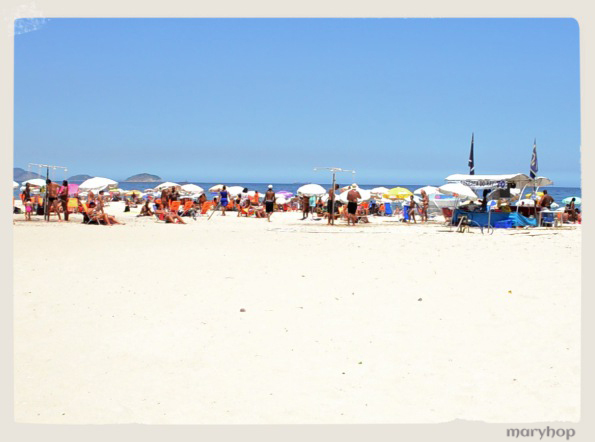 Only a few locals speak English - not to mention the safety, which in Brazil is a serious issue, so it’s important that you get around with a local that knows the area. 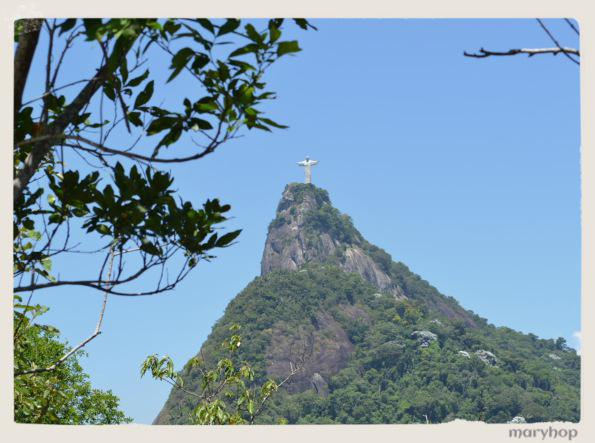 The first stop obviously was the mountain Corcovado and Cristo Redentor. Before that, however, Diego, our guide, wanted us to look at Jesus Christ from another angle. And so we went up another hill, just across Corcovado. There lies a helipad from where Rio’s Heli Tours set off. It’s difficult to get a good day and a clear horizon, but if you do, you’re in for a great time and a fine view. You can see hills, mountains, the sea, green, blue, tall buildings, scattered favelas and colored rooftops. Across, you can also see the statue of Jesus, the size of a dot, beckoning you to get closer. So you do get closer, and you do climb up, even though it seems impossible at first glance. 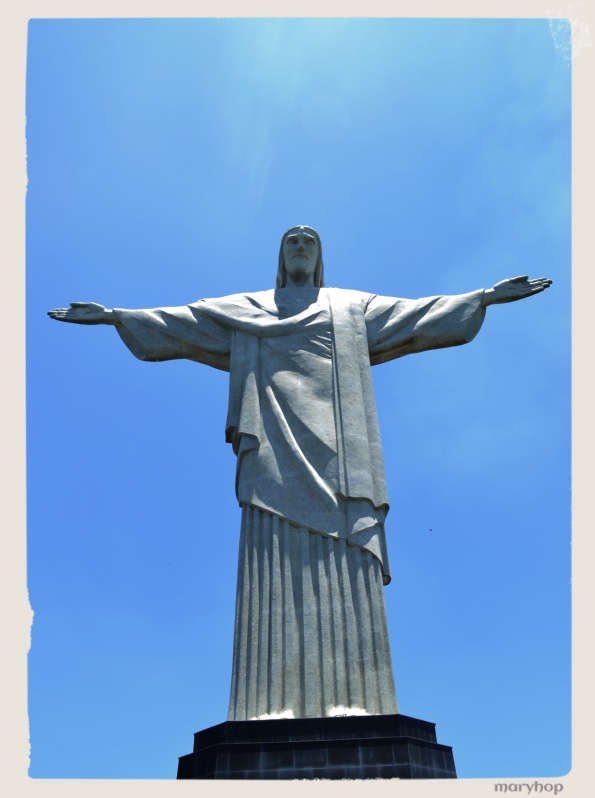 The history of Cristo Redentor is a long one. Some time in the mid-1850s, Pedro Maria Boss, a catholic priest, asked Princess Isabel for funds in order to build the statue, but the princess declined. Sometime in 1920, the Catholic Circle of Rio asked again, and this time their request was granted, so the construction began. Jesus Christ opened his arms on October 12, 1931. Today it’s considered the largest Art Deco statue in the world. It is 30 meters (98 ft) tall, not including its 8-metre (26 ft) pedestal, its arms stretch 28 meters (92 ft) wide, and it weighs 635 tons. It is located at the peak of the 700-metre (2,300 ft) Corcovado mountain in the Tijuca Forest National Park overlooking the city. Religious symbol and emblem of the city. It’s unthinkable, as you can imagine, not seeing it up close. You can go up straight to the top by train (and the route is breathtaking), or you can go by car up to a point and then go up by available mini vans. It’s not easy to get on top; it takes time. You wait in line for a ticket and then in line to board the van and then in line to climb up, step-by-step, until you finally reach Jesus. And once you reach the top, the chances you can photograph yourself together with the statue are miniscule. Mind you, I went up at noon on a weekday. I can’t even imagine what you’ll face if you visit the city for the FIFA World Cup or the Olympic Games. The sun is scorching, the heat is unbearable, but, to be honest, the view is incredible. Your gaze goes back and forth, from the statue to Sugarloaf mountain across (where I didn’t have time to go). I don’t think you can stand being up there for too long. I didn’t. Too many people, too much sweat, too much pushing. For as long as you can manage, though, you’ll be rewarded with a breathtaking, magical view. Tip: If you know when you’ll be visiting Corcovado, buy your ticket online, in order to avoid the first queue. Unfortunately, you will have to wait in line for the second one. Descent time. 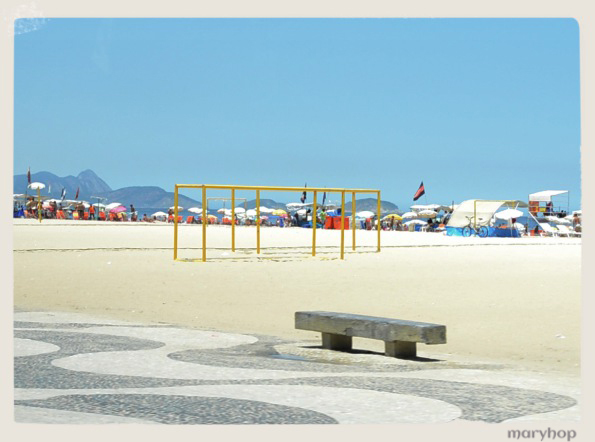 Afternoon, time to hit the beach, go swimming, walk in the city, and have pizza at Copacabana. No, I didn’t have a swim, but I did walk on the beach. I tried to, that is, and only parallel to the water sprinklers. There are plenty of those because you can’t walk the beach barefoot. Miles of sand, countless deck chairs, countless bathing suits; everything in countless numbers. 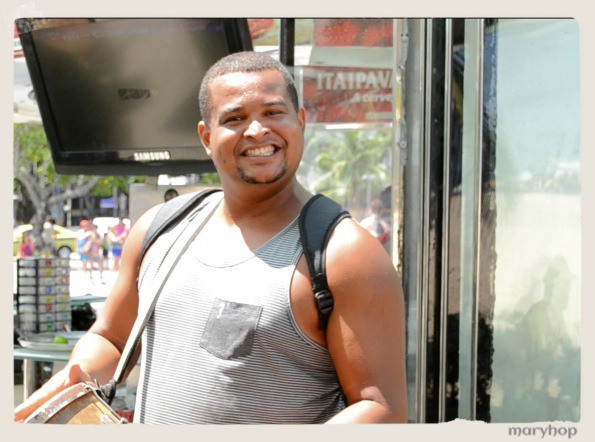 Make sure you visit Copacabana and make sure you enjoy it. 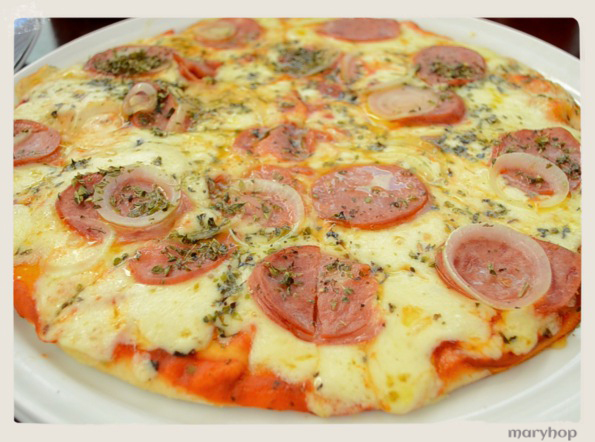 And take my advice and have some pizza, across Copacabana Palace. Even though I am not a pizza expert, such pizza I had never tried before. Maybe it was the mountain climbing that had made my hungry, but, really, if you find yourselves there, give it a try. I am begging you. 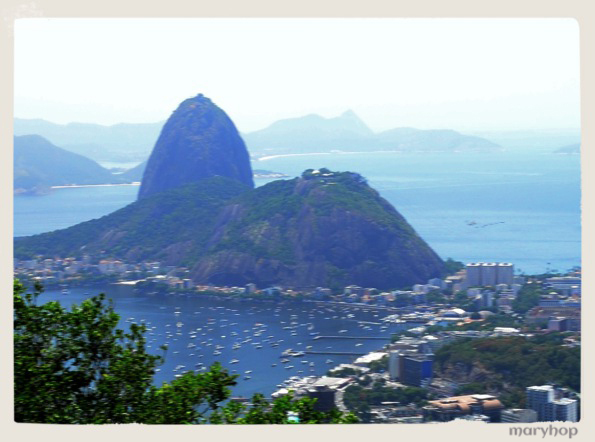 From 1920 to around 1950, Rio experienced its Golden Era. Casinos, beaches, entertainment, food, and a legendary hotel hosting the rich and famous from all over the world. The Copacabana Palace stands there as imperious and glamorous as ever, reminding all of those glory days. 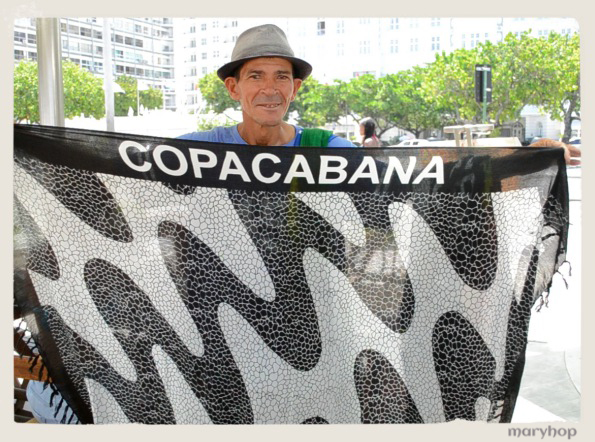 If you happen to go there, cross the street to get some of that pizza I was telling you about, and buy one of these sarongs, depicting the black and white cobble stone pavement, running parallel to the Copacabana beach. A small stroll around the city and then back to the airport. I didn’t get to see much, but I made sure I enjoyed the places I visited. With a little more haste I could have made it to two or three more places, but unfortunately the school bell signaled it was time to go back to class. 18:00 and I was back to the "village". Ola São Paulo again! 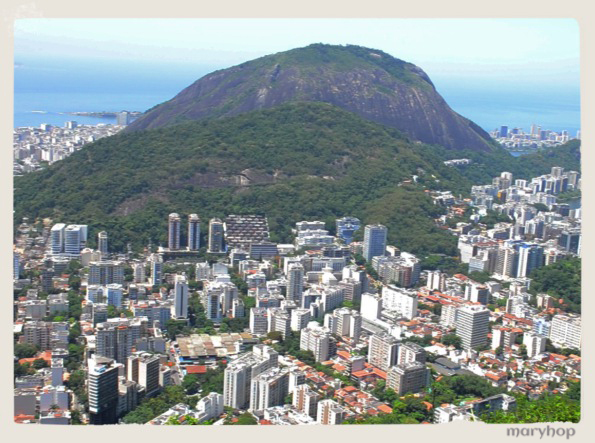 • Pão de Açúcar, also known as Sugarloaf – the city from above inside a funicular. An excursion reminiscent of school day trips; it had mountains, hills, seas and rivers, food and walks. How can you get back to class now?